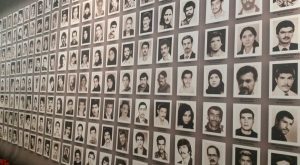 Iran Wire: New evidence reveals that the Iranian government is destroying the mass graves of thousands of prisoners executed in 1988. The evidence stems from the collection of satellite imagery, photo and video analysis, as outlined in a joint report by Justice for Iran and Amnesty International released today, April 30. The report, “Criminal cover-up: Iran destroying mass graves of victims of 1988 killing,” describes how Iranian authorities are bulldozing the sites of the mass graves and regularly constructing new buildings, roads or new burial grounds over the sites, or using them as rubbish dumps. The deliberate destruction of the graves threatens vital evidence about the deaths of thousands of people who were killed during the Islamic’s Republic’s 1988 suppression of dissenters and political prisoners — evidence that could be used to bring justice to the families who lost loved ones. “These are crime scenes and must be protected as such until proper and independent forensic investigations are carried out to identify the remains and the circumstances of what happened to the victims,” said Shadi Sadr, the Executive Director of Justice for Iran, in a statement. Between late July and early September 1988, Islamic Republic authorities carried out a mass execution of between 4,000 and 5,000 prisoners, many of them leftists and over 2,000 of them jailed members of the Mojahedin-e Khalq or the People’s Mojahedin Organization (MEK), which had supported Iraq during the Iran-Iraq War. Iran’s judiciary had already handed down prison sentences to many of those who were executed — and some of them had already completed their sentence at the time of their death. One of the massacres took place only a few days after the Islamic Republic accepted the UN Security Council’s resolution to end the eight-year Iran-Iraq War. The number of executed is still unknown, since the killings were carried out in secret. The “Criminal cover-up” report focuses specifically on seven mass grave sites, which authorities have taken steps to destroy between between 2003 and 2017. The sites are in Mashhad, Ahvaz, Tabriz, Rasht, Qorveh, and the former premises of the Revolutionary Courts in Sanandaj and Khavaran. Researchers for the two human rights organizations obtained photo and video evidence and satellite imagery, and, between 2015 and early 2018, conducted interviews with 28 former prisoners and 23 family members of prisoners. They also had access to first-hand testimonies of the destruction of the mass grave sites. 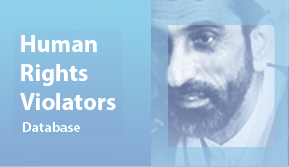 The mass executions continue to be debated and discussed in both international and domestic media, and new information about the killings, and the authorities responsible for them, has emerged as recently as 2016, when the office representing the late Ayatollah Hussein-Ali Montazeri, who was deputy to Ayatollah Khomeini, released an audio file of a meeting of the revolutionary “death panel” that carried out Khomeini’s orders. Human rights organizations and the families are calling on authorities to again acknowledge the mass executions, and to stop desecrating evidence that could help bring justice for many families, putting an end to decades of frustration and anguish. “The atrocities of the 1988 massacre in Iran is a wound that still remains open three decades later. By destroying this vital forensic evidence, the Iranian authorities are deliberately reinforcing an environment of impunity,” said Philip Luther, Research and Advocacy Director for the Middle East and North Africa at Amnesty International in a press release.